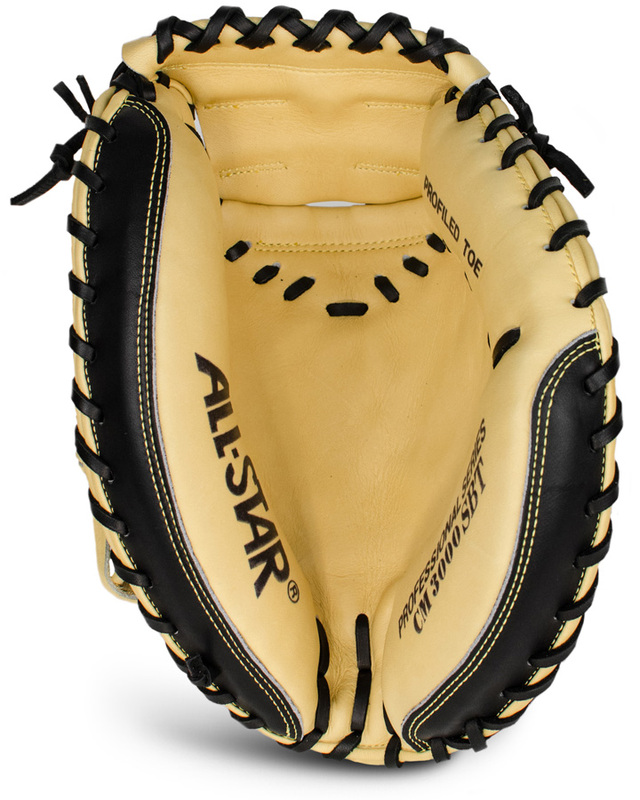 PRO-ELITE CATCHING MITT Model Number: CM3000SBT - 33.5 Inches Hands down, this is the glove catcher's dream about. Exclusive Japanese tanned steer hide allows for fast break in and extended life. 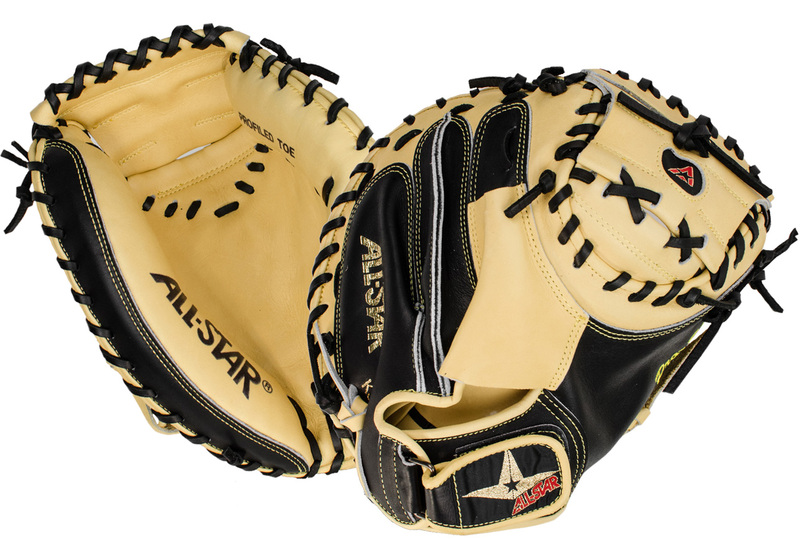 Only the finest materials and hand craftsmanship are used to make these exceptional mitts. 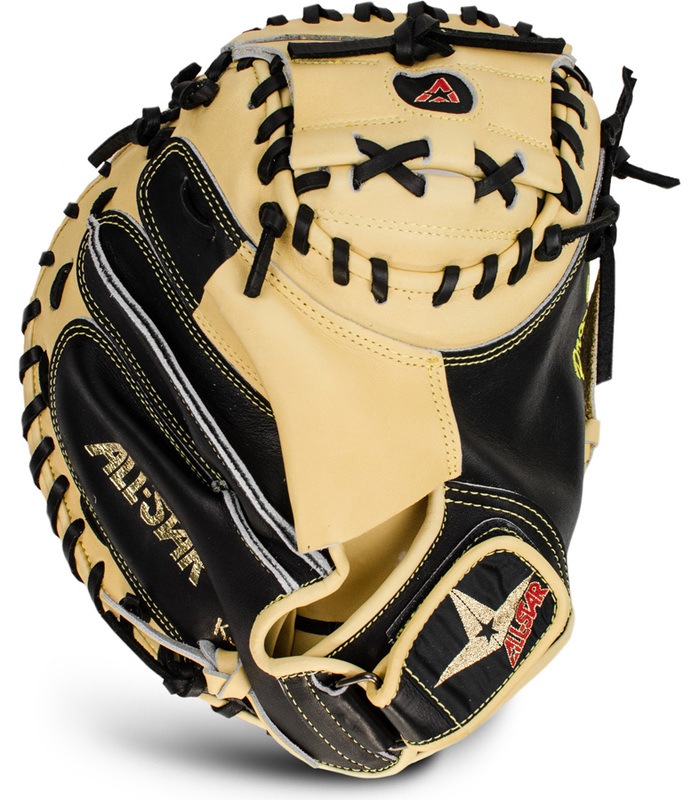 The soft tan leather pocket allows for great feel and gives the ball that extra POP which pitchers love to hear. The black leather backing is stiffer, and gives the mitt the right amount of support and increases its life.